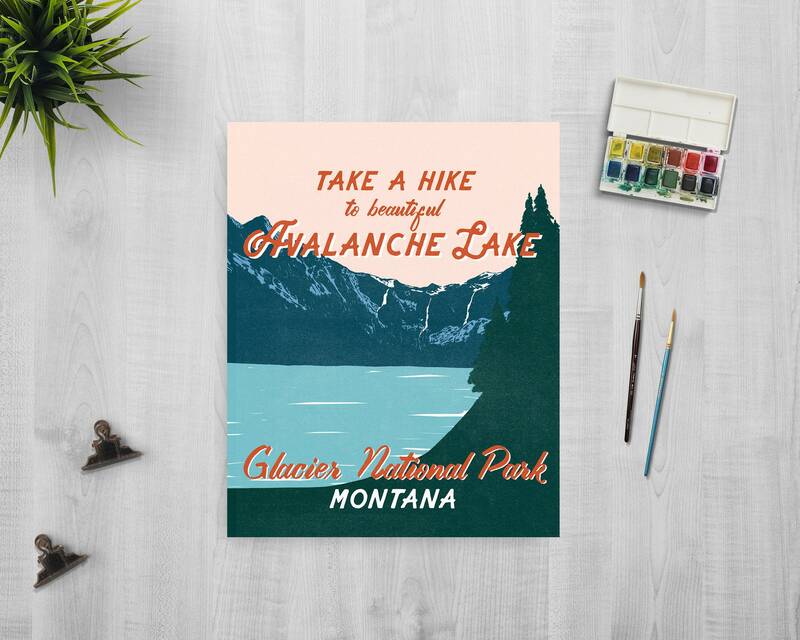 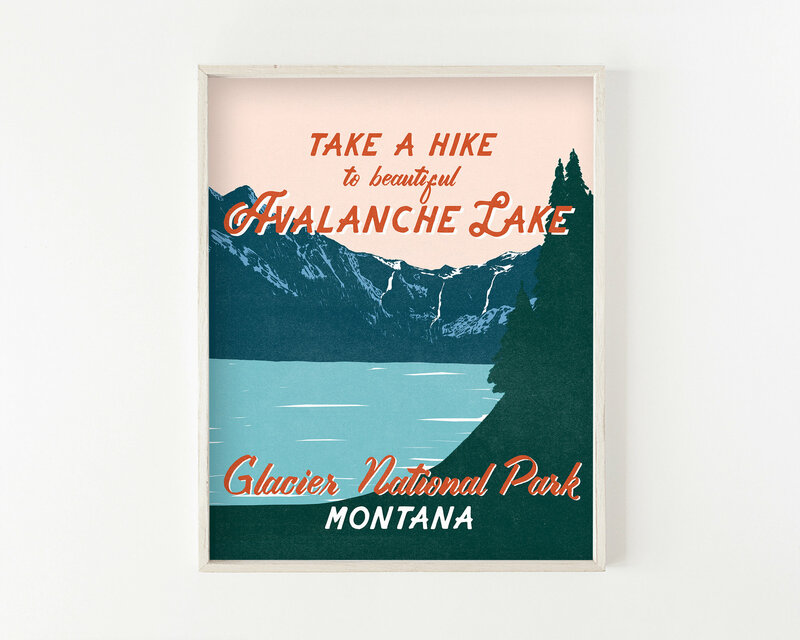 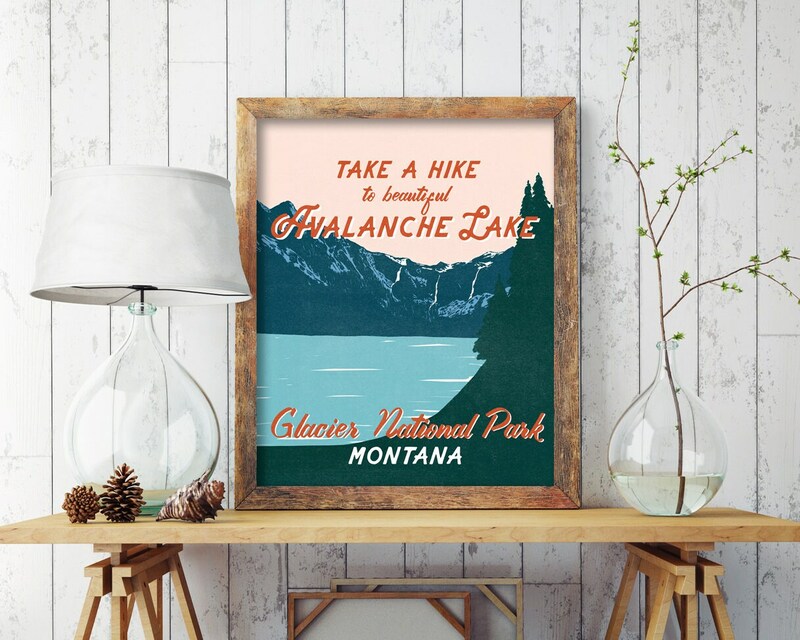 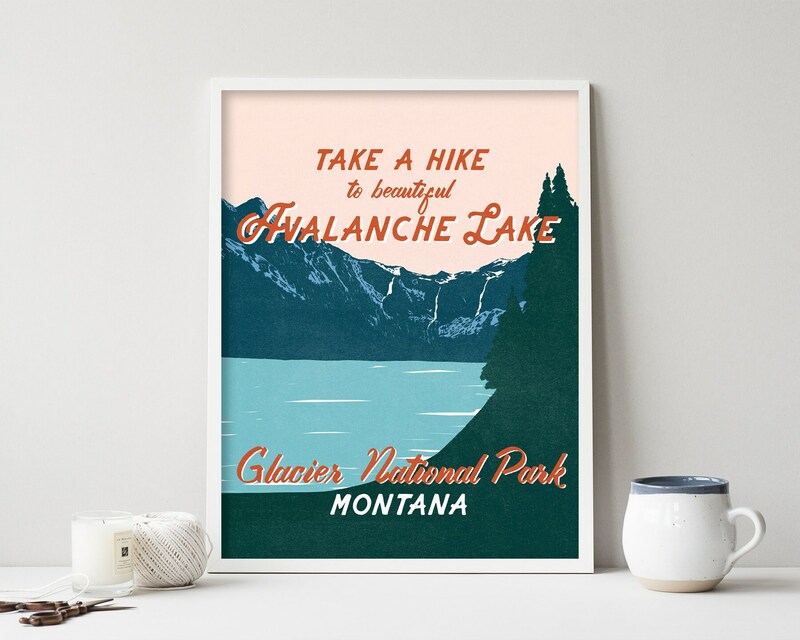 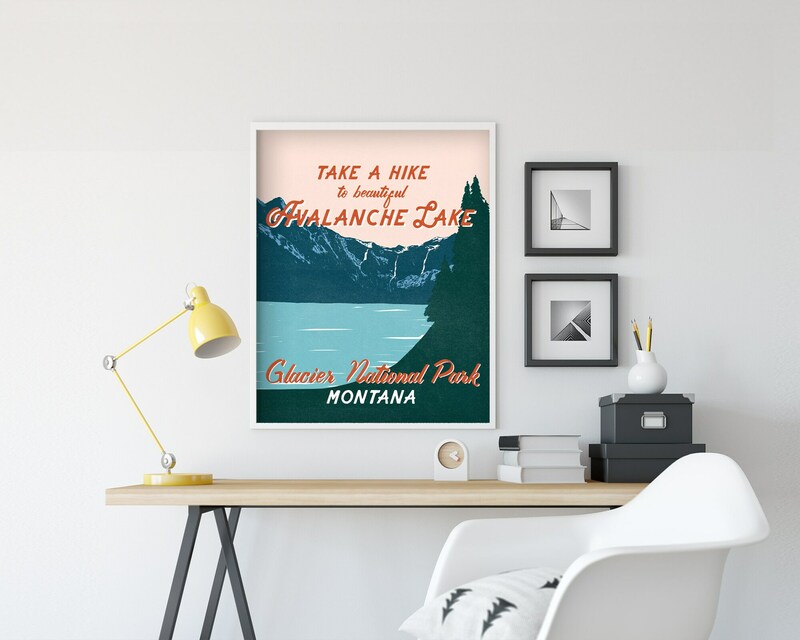 This print was made using my original illustration and depicts a modern take on the well-known Avalanche Lake in West Glacier Park, Montana. 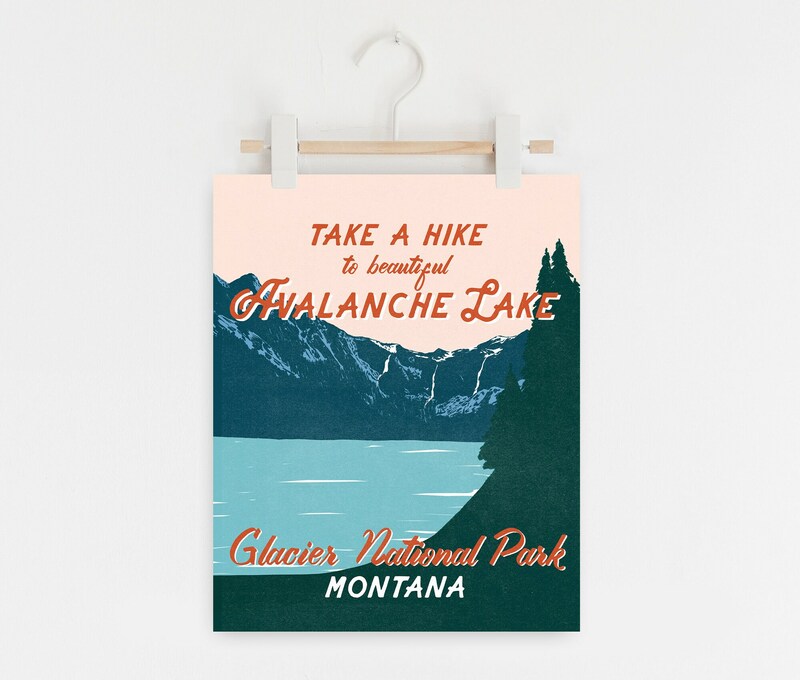 This lake features several natural waterfalls and snow nearly year-round. 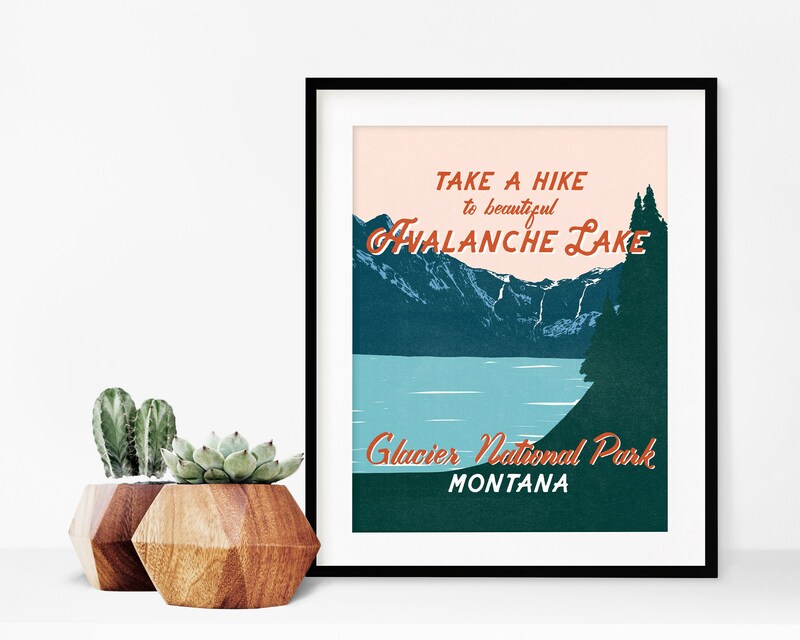 For those who love the outdoors, or just love a good adventure!